Today’s book promotion comes from Melissa Haag and her book called Hope(less). If you like YA Paranormal Romance, take a look below. You might just find another book for your “to read” pile! In a world filled with people, Gabby is uniquely alone. The tiny glowing sparks filling her mind that represent the people around her confirm it. 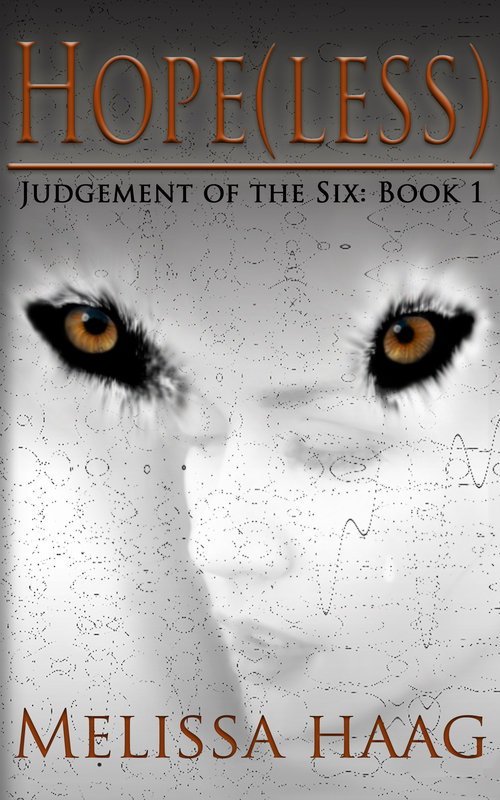 When other werewolves start to stalk her and anomalies in the sparks she sees begin to appear, she must count on Clay’s help or risk loosing the chance to find the answers she searches for. The best part about writing Hope(less) was when I handed the finished product over to my critique readers and they loved it. Though I have imagination, I wasn’t sure it would entertain anyone other than myself. I want to thank Melissa Haag for allowing me to promote her book on my blog. I hope this post has inspired you to go out and read Hope(less)!